We recently asked to review the Baby Born Interactive Boy Doll. Lily has lots of girl dolls but was desperate for a brother for them. The doll retails at £49.99. It comes beautifully presented in a box with the doll and accessories on display. The Baby Born Interactive Boy Doll is an ideal gift for toddlers & young children. Lily describes the Baby Born Interactive Boy Doll as “so cute”. The doll not only looks cute but also has a variety of interactive & lifelike functions. The doll is able to drink water & wee either in a nappy or on the potty provided. You get one nappy provided but can purchase more. The doll can eat his breakfast; he comes with a really sweet bowl and spoon which lock together so you won’t be forever looking for the spoon! The doll is supplied with one pouch of ‘porridge mix’, but you are able to purchase more. After the doll has eaten the porridge he can even poop! The doll is able to cry real tears; Lily loves getting the doll to cry so that she can sing it a lullaby to soothe it. 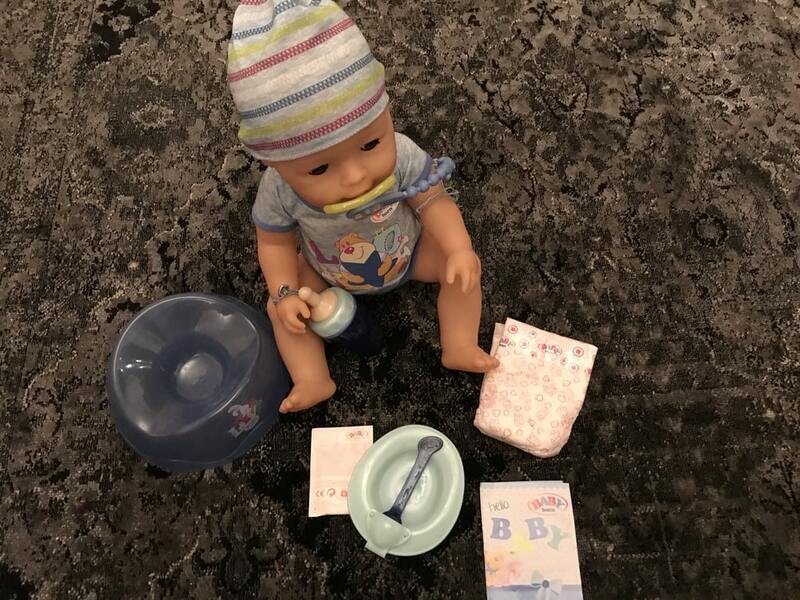 Make sure you only give the doll water to drink and only feed it the special Baby Born Doll Food; otherwise the internal mechanisms will block causing the doll to break. The doll also comes with some other lovely accessories; a dummy & dummy clip, a bracelet set – one for the doll and one for the child so that they can match. If you are buying this doll as a present then remember to buy 4 x AA batteries to go with it; otherwise you won’t be able to use the interactive functions. 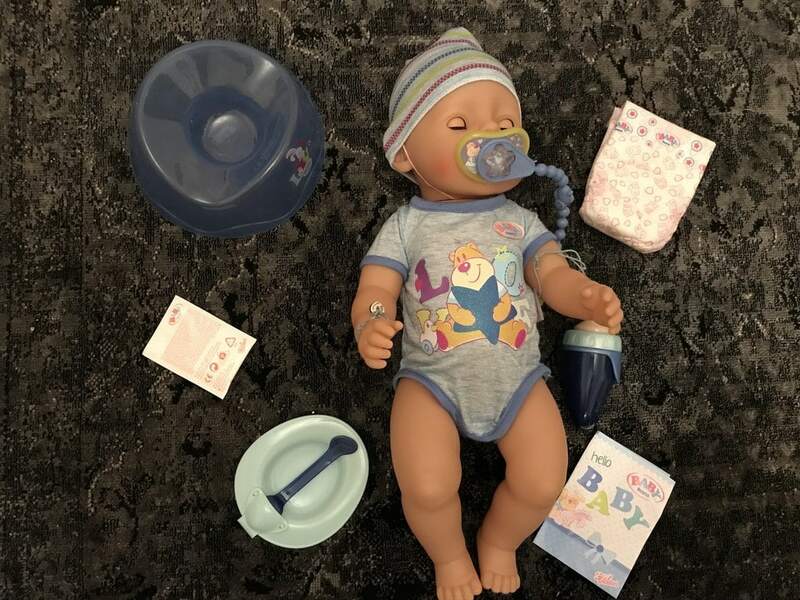 I think the best part about the Baby Born Interactive Boy Doll is that it really encourages and helps to develop my toddlers nurturing side; Lily really does adore taking care of her baby and I think this gives her some great life skills! Disclosure: We were given the Baby Born Interactive Boy Doll free of charge for this review but nonetheless the opinions in this post are my own.